← Happy Thanksgiving to all the writers out there! Well folks, it’s official: National Novel Writing Month ended on November 30th. I was off to a great start, but by Day 4, things began to waver. First came a weekend job in Las Vegas, grading papers, family obligations and the biggest hurdle of all: my partner was offered a job in Oregon, which meant packing up our apartment and being without furniture for a week. Then came the actual drive to Oregon, moving things in, buying things we left behind or lost, trying to explore an unfamiliar city, etc. Before I knew it, November was over and my novel was only in its beginning stages. I did not let that deter me, however, because the important thing is that I started my first novel. With a draft of four chapters (and a prologue) complete, I can move forward and keep writing. 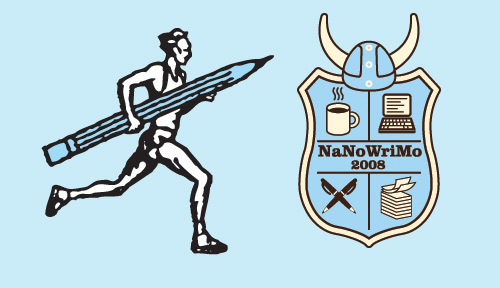 Although I did not win NaNoWriMo by finishing the novel, at least it’s off to a great start and I have something to build on for the months to come. Oregon is a different experience from LA, and although I am only here until the 13th of December to help the hubby settle in, now that I can finally breathe, I hope to resume the novel and write as much as I can before my journey back to California. The fact that it actually feels like Winter here will be a true inspiration, I’m sure. To anyone who didn’t finish, keep writing away. The start is all that matters; the rest will come easily. Don’t give up. Happy Thanksgiving to all the writers out there!